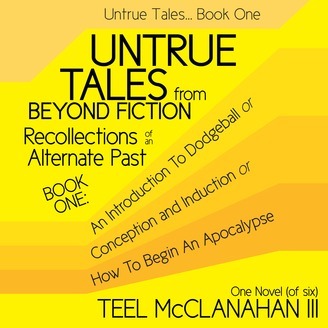 FULL TITLE: Untrue Tales From Beyond Fiction - Recollections of an Alternate Past, Book One: An Introduction To Dodgeball or Conception and Induction or How To Begin An Apocalypse (Book 1 of 6) Contains mature content not suitable for all readers. Book One is the introduction to this series of books which take place in a world where magic and psychic-like powers exist but are overlooked by most people, and centers on a teenage boy of remarkable magical and mental powers as he is introduced to a world that had been hidden from him his entire life by ignorance. Thanks for listening. 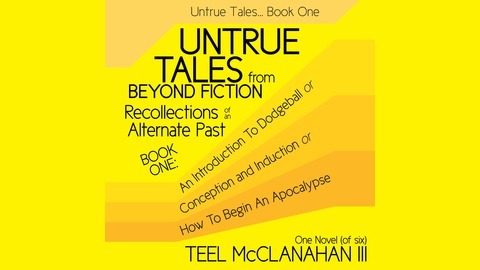 If you enjoyed UTFBF-RoaAP, Book One, please look for my other titles on Podiobooks.com, including: Cheating, Death (a zombie novel), Lost and Not Found, Forget What You Can't Remember, More Lost Memories, Dragons' Truth, & the next two books in the "Untrue Tales From Beyond Fiction - Recollections of an Alternate Past" series, available now.